We were real idiots….after we arrived in Sucre for two days, we found out surprisingly that the capital of Bolivia is Sucre, not La Paz. Sucre is a much smaller city, but the houses in the center are very beautiful. It feels totally different from La Paz. However, the most interesting part of our stay is the BnB. We were stuck with traffic on our way in, and therefore were late for two hours and arrived at dinner time. 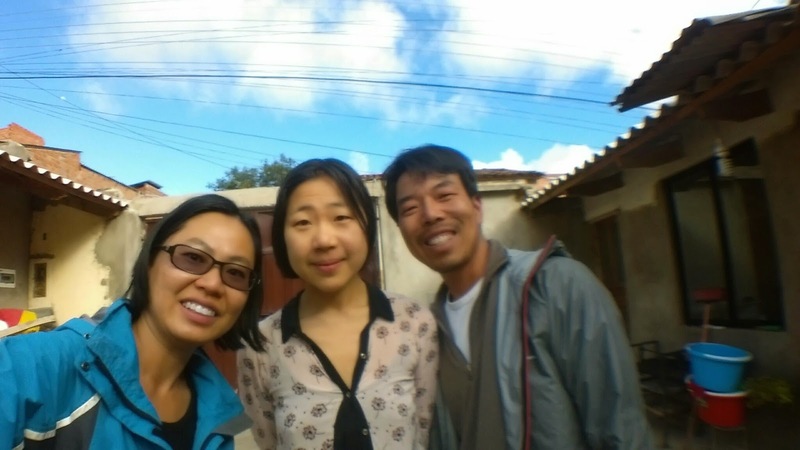 When we arrived, a man was making vegetable pies, and there was also a Korean girl who arrived just a bit earlier. 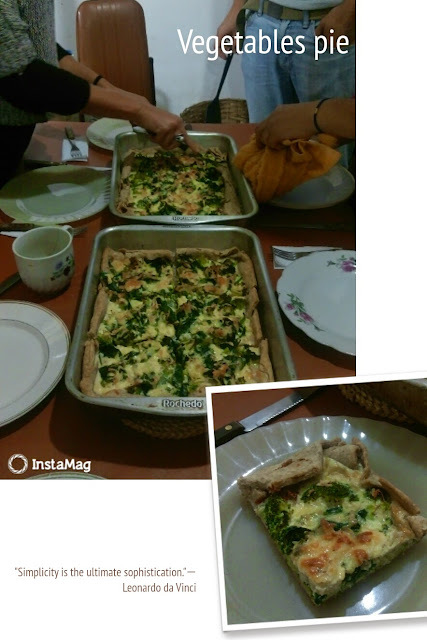 We ate the two huge vegetable pies for dinner together, and we chat a lot during dinner. The man and his girlfriend work in Sucre and are friends of our hosts. We found out that a lot of guests cook here and they also left behind various sauces and ingredients. For example, an old Japanese lady comes every year and she would fly to Santa Cruz to buy Japanese ingredients to cook for them. So, they have even Japanese sushi rice here! 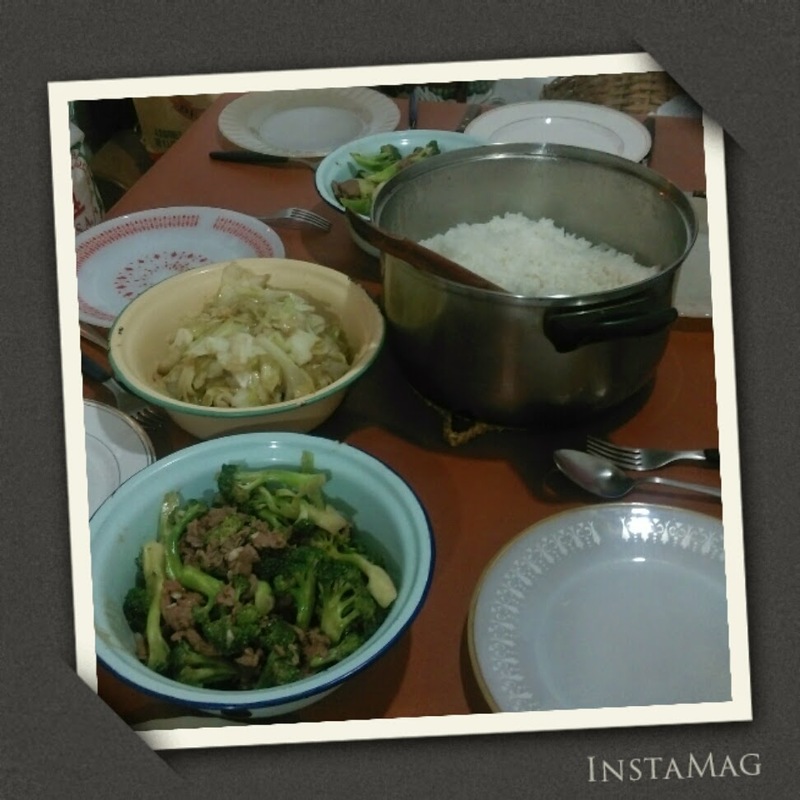 Since we have been treated on the first day, we decided to cook some Chinese food on the second day. I made a big bowl of fried beef with broccoli, in oyster sauce, and fried hand tear cabbages. Our host Bertha said she doesn't know how to use the oyster sauce, so, I have use it on the beef. While I was cooking, I think it would be good to have rice to go with the dishes, and so I asked Bertha. She went out to buy some rice to cook. In fact, when I came to Bolivia, I really don’t like the taste of their rice. I finally know one of the reasons for the different taste. When they cook the rice, they pour away the water after it has boiled and then rinse the rice twice and replace with new water to continue cooking. They told me that is because they don’t want the stickiness of the rice… and that may be why I don’t like it. I have given up on eating rice in Bolivia. It was a Monday night and the friends did not come. Instead, we have two new guests from Germany. Since they had been treated with Chinese food today, they also decided to cook for us the next day! 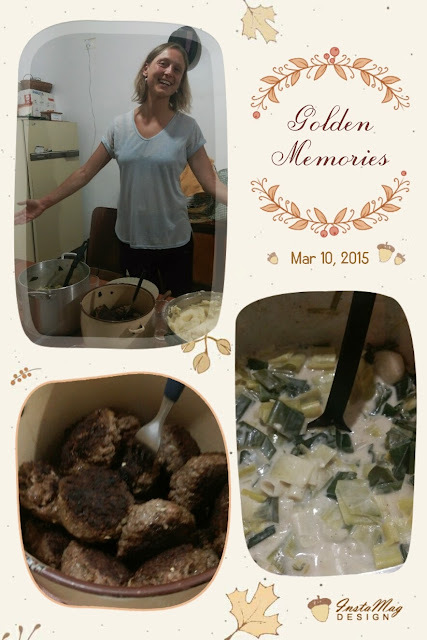 So, on the third day, we were eating fried meat balls, leek in white sauces and a big bowl of mash potatoes!! Stephanie said that the fried meat balls is a dish she always had when she was a kid. I learnt that they mix bread crumbs made from old breads into the meat balls so they don't have to put so much meat! I will have to try making next time I go to Europe. We were joking that Bertha should ask each guest who cooks here to write down the recipe and take some photos for records. Then, she can publish a recipe book for international cuisine. We stayed for three nights and each night, we take turns to cook everyone instead of we all cook for ourselves. Moreover, we dine together and chat all night, exchanging everything such as our lives, culture, and our travel experience as well! Like the review of other guests said, this BnB is truly an amazing place!